Candy By Peppermint is one of the beautiful three star properties in Tirupati. 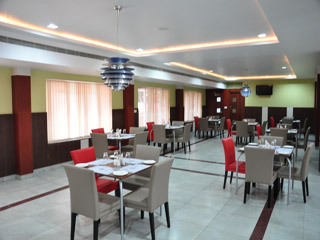 The hotel brings a touch of comfort and relaxation to the travelers visiting the city. Airport Transportation, Travel Counter, Laundry Facilities, Backup Generator, Conference Hall, Security Guard, Room Service, Swimming Pool, Doctor on Call, Breakfast Services. Internet Access, Air Conditioning Room, House Keeping, Attached Bathroom, DVD Player, Cable/Satellite TV, Refrigerator Room, Toothbrush/Razor on Request, Minibar, Wakeup Calls. User reviews for "CANDY PLR BY PEPPERMINT Tirupati"